you are choosing a comfortable, stress-free way to orchestrate and deliver a meaningful and unforgettable event! Please complete and submit the form below to receive more information or to request a complimentary consultation. Thank you so much for getting in touch! We look forward to following up with you soon. We do our best to return all inquiries within 48 hours. Thank you for your patience! We can’t wait to say hello! If I can give one piece of advice to future brides out there.... it's hire Laura! Seriously, I feel like as a bride you can have 1,000 great, fun, creative, and unique ideas... but you need someone to help see those through. You need someone who can be seeing that your ideas are brought to life smoothly, so you can simply enjoy your day. Laura has this skill perfected, and she manages to do it with the sweetest smile! 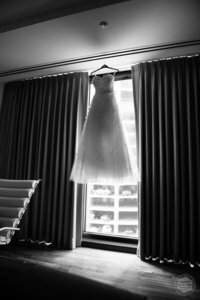 After contacting a few day-of-coordinators, my husband and I decided on Laura and The Ideal Day... she was prompt to respond and extremely personable (even through email, which I found not to be the case with many people). After every conversation/email/phone call with Laura, I felt more and more relief about our wedding... the stress had been lifted and all thanks to her!! A key asset Laura has is her familiarity with many major Chicago vendors. She knew the ropes with our caterer, venue, musicians, photo booth and more. She often knew the specific individuals with whom we were working, making it easy to hand off vendor communication during the final days. Laura is everything you want in a wedding coordinator: highly organized, knowledgeable, calm under fire, and simply fun to be around. I could tell early on that she had extensive industry knowledge and that I could trust her to handle everything perfectly. Our wedding was perfectly smooth without feeling overly orchestrated, which I credit to Laura.